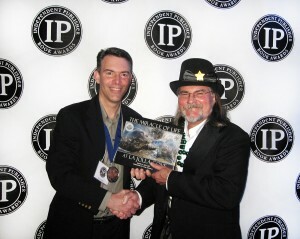 Caption: Dr. David Sattler (left) receives the Silver Medal from Jim Barnes, Award Director, Independent Publisher Book Awards, for "The Miracle of Life at La Jolla Cove," May 2016. Cover, "The Miracle of Life at La Jolla Cove" by David N. Sattler. 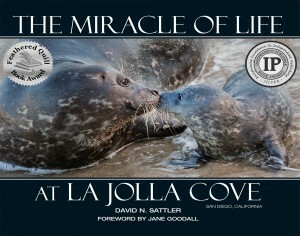 Foreword by Jane Goodall.